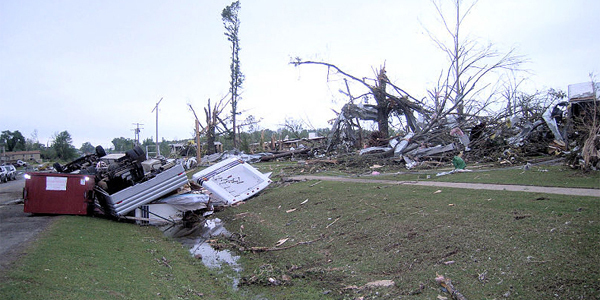 Damage from an EF-4 tornado which struck Vilonia, AR, courtesy of the NWS Little Rock. 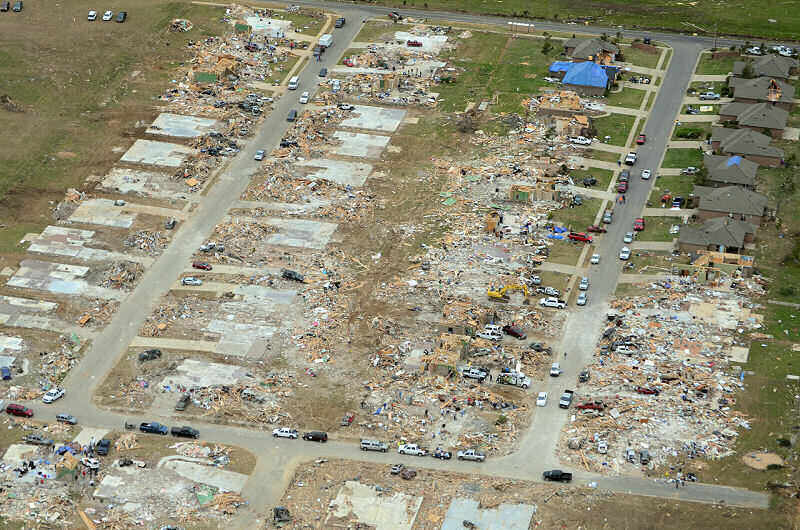 The 2014 severe weather season started out very slowly, which was welcomed by many residents across the United States. In fact, tornado reports were on track with some of the lowest levels in recorded history (see graphic). Unfortunately, that would all change during the last week of April, with a major tornado outbreak striking the southern Plains and Deep South from April 27 - 29th. This outbreak produced 164 tornado reports over the 3 day span, with 69 confirmed tornadoes (so far) and sadly 35 U.S. residents lost their lives. Let's delve deeper into the cause of the outbreak. Above is a depiction of the set-up on April 28th, which was by far the most active day of the outbreak, with 115 tornado reports. As you can see, there was an expansive area of low pressure centered over the heartland of the country. This system was sucking in low-level moist air from the Gulf, creating an unstable environment over the Gulf States. 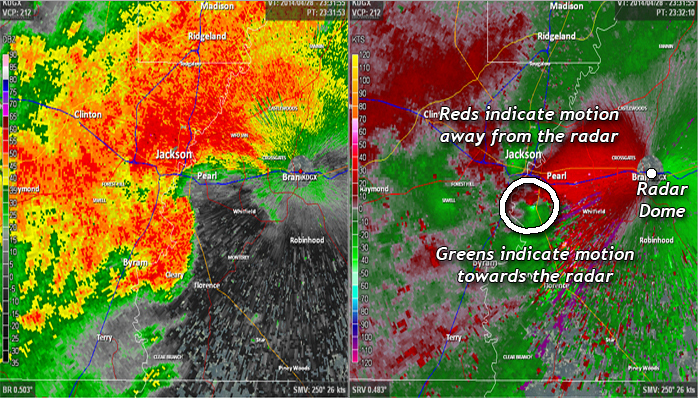 Meanwhile, strong upper level winds were tearing across the Rockies, into MS, AL and TN. 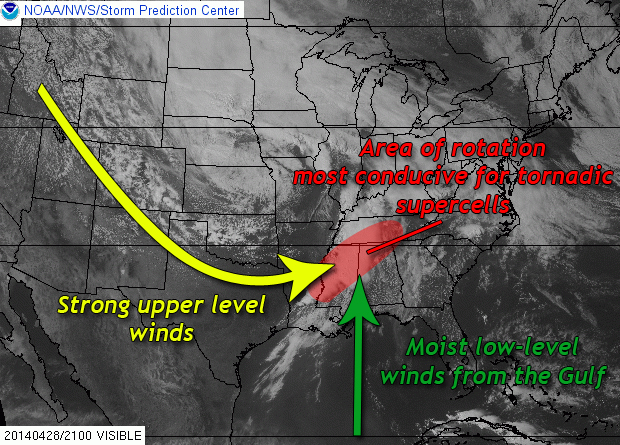 This type of set-up creates turning in the atmosphere with height, which is conducive for rotating storms or supercells. Add in a cold front pressing in from the west as the trigger, and these supercells exploded over the south. After this major outbreak, hopefully we will see another calm period with respect to tornadoes and severe weather.